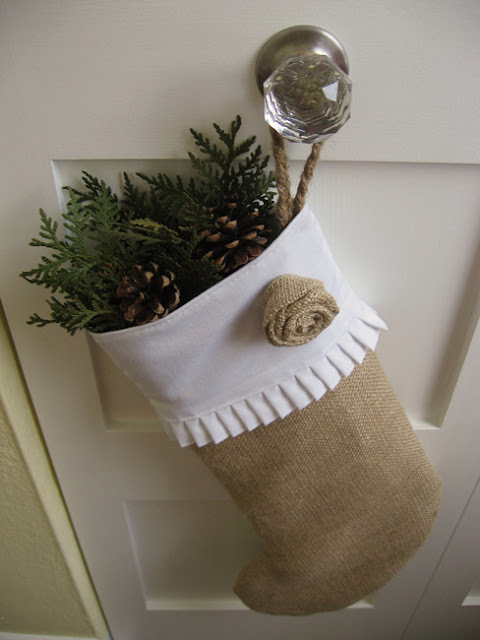 but I'm sure Santa will fill this amazing ruffled cuff burlap stocking with nothing but goodness! Vintage clock faces and junk embellishments make for stunning ornaments. 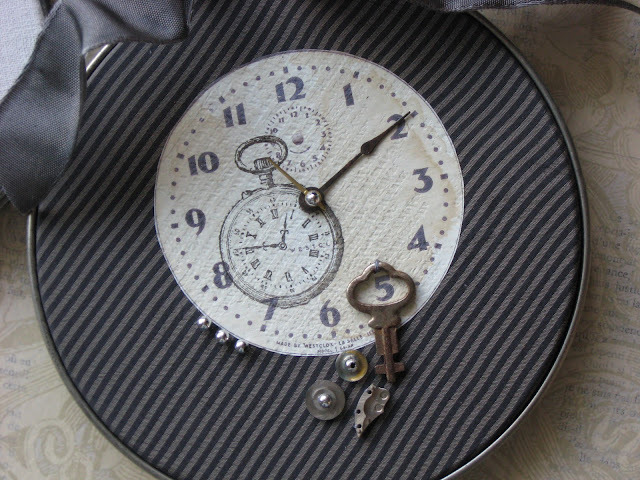 Amy is gifting you with a sheet of her vintage clock faces, too! Very Merry Vintage Style is right! 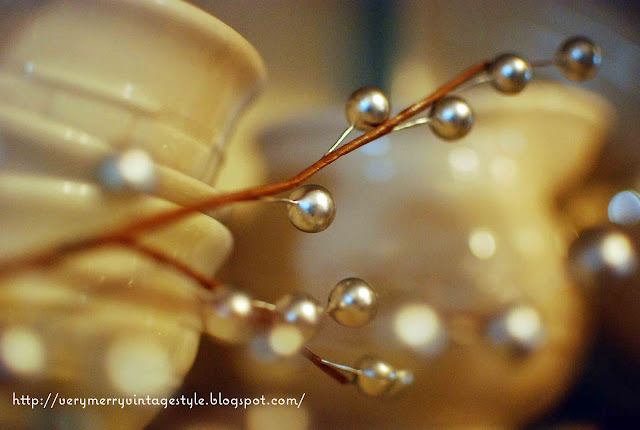 Vintage photos, baubles, and dishware are the centerpieces of Mary's hutch styling. 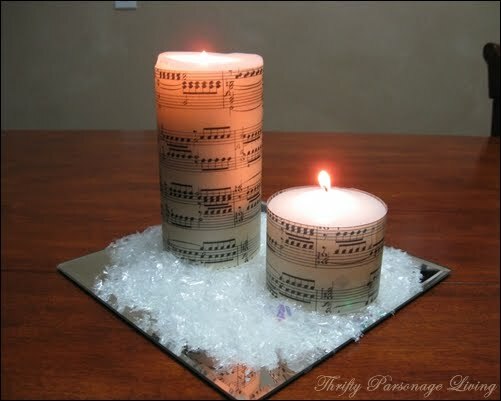 Embossed sheet music allows these pillar candles to sing a holiday song all their own! Check out the amazing transformation of these gift boxes by our fellow blogger from Croatia! thanks amy! always appreciate your support - and I grabbed the button too! 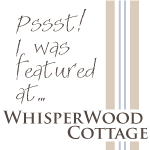 Thank you for the feature Amy; I'm honored! Your button's on my blog! Love your little stocking! Also the snow falling! Nice effect! I'm in love with the stocking! So pretty! Oh my gosh! Everything is so beautiful!! These are wonderful! I'm all about the decoupaged one at the end, but I love them all. Thanks for featuring my sheet music candles; I'm honored! Thanks for hosting your link parties, they are the greatest! Dear Amy, I am honored, thanks for featuring my project.